Please find below classifieds in category Finance, mortgage, insurance category in New Jersey. 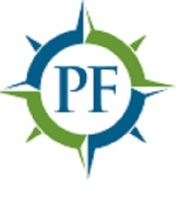 Please use the form above to refine your search in Finance, mortgage, insurance in New Jersey. If you can not find what you need in New Jersey please add your wanted ad to let sellers contact you. If you want to keep your contact info confidential enter only your email address so you will receive offers into your account in our system. You can click Post a classified ad link below or the button Post classified for FREE in top right corner of this page to post your classified ad in category Finance, mortgage, insurance in New Jersey. It is fast, easy and free to post an ad in FREEADSinUS.com. It will take you just few minutes to have the ad available on our listings. You can edit your ads any time by clicking “Edit my ads" button on top right corner of this page. Otterstedt Insurance Agency is located at 363 Cedar Lane Teaneck, NJ 07666. Contact Us: T 201-836-2100, F 201-227-5026. Insurance Agency, Health Insurance Agency, Automobile Insurance, Life Insurance, Financial Planning, Homeowner's Insurance. With more than 80 years of experience under our belt and an open-door policy, the Teaneck branch of Otterstedt Insurance Agency is a great mix for the diverse and eclectic group of people that call Teaneck, New Jersey home. Ya-Cpa team of highly skilled Financial Audits accounting professionals can review your books and practices to make sure you’re following the law and making the most of your revenue stream. Contact: Website: http://goo.gl/sSCRDn Mail: ymusaji@ya-cpa.com Address: 55 Addison. HIPAA & HITECH Auditing and Certification includes Audit and Document IT Security Compliance.Every Organization must certify their security programs via self-certification. Contact: Website: http://goo.gl/RNr9DM Mail: ymusaji@ya-cpa.com Address: 55 Addison Drive, Short Hills, New Jersey, 07078 Mobile: 9739212892 (US). Management Audits and is exclusively dedicated to providing these Services to the small to midsize businesses (SMB) in the United States and Internationally. Contact: Website: http://goo.gl/DF6kMJ Mail: ymusaji@ya-cpa.com Address: 55 Addison Drive, Short Hills, New. Yusuf Musaji, is the Founder and CEO of Yusufali & Associates (Y&A). He has over 20 years experience within the IT and financial industry, including over seven years of recent experience developing, testing and analyzing disaster ecovery strategies for major corporations especially during the aftermath of 911 attacks. ya-Cpa is best in federal risk authorization program (FedRAMP), Cloud Computing services. The goal of FedRAMP is to reduce the time and money that individual agencies would otherwise have to spend on assessing a cloud provider' s security. Contact: Website: http://goo.gl/2IEYRR Mail: ymusaji@ya-cpa. Ya-Cpa is the 20 years coupled with leadership acumen in Technology, Business Processes and Management Control Frameworks, with pragmatic cost effective SSAE16 SOC I II III Audit Services. Contact: Website: http://goo.gl/kfPQsL Mail: ymusaji@ya-cpa.com Address: 55 Addison. HIPAA & HITECH Auditing and Certification includes Audit and Document IT Security Compliance. Every Organization must certify their security programs via self-certification. Contact: Website: http://goo.gl/RNr9DM Mail: ymusaji@ya-cpa.com Address: 55 Addison Drive, Short Hills, New Jersey, 07078 Mobile: 9739212892 (US). This is classifieds listing page in category Finance, mortgage, insurance in New Jersey. The listings include ads for sale and wanted ads posted in New Jersey location on our site or sourced from Oodle.com from categories related to Finance, mortgage, insurance. If you posted an ad on this page before please click "Edit my ads" button to sign in your account and edit your classified ads, check the requests sent to you from your ads contact forms or check the offers sent to your wanted offers. 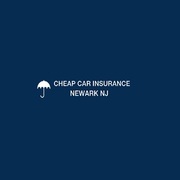 Finance, mortgage, insurance New Jersey classifieds, New Jersey ads, New Jersey classified ads, garage sale New Jersey. Find here ads for sale, to buy and rent in New Jersey. Goods for sale in New Jersey, vehicles for sale in New Jersey, New Jersey real estate for sale, New Jersey property for sale, property for rent in New Jersey, business ads in New Jersey, New Jersey business classifieds, services in New Jersey, New Jersey services ads, jobs in New Jersey, pets for sale in New Jersey, New Jersey dating, New Jersey cars for sale.